Hot on the heels of the world premiere (an intimate screening with family and friends in Eastown at our Festive Finale 2014), the teens at Open Doors now present the Internet debut of Slender: The Short Film. You can read about the history of this Slender project, and about the process along the way. You can also read our thoughts and concerns associated with the Wisconsin stabbing incident on May 30. We couldn’t be more pleased with this project and the fun and learning it brought about. It’s a great example of self-directed learning in action, and it’s what we’re all about here at Open Doors. To celebrate the inaugural year of the Open Doors Center, we gathered with families and friends for a picnic and play. In no particular order, here are some highlights. Food, including vegan and gluten-free options! Our director, Rebecca Kirk. What looks like small horse behind her is actually her dog, a sweet and gentle Great Pyrenees named Lucy. This guy! Yeah, that’s two hula hoops. At one point he did 3, and tried juggling at the same time. It didn’t last long enough to get a picture, but we know what he’ll be working on over the summer. This looks like an innocent walk in the park, but there’s actually a petty crime process — she stole his hat. Water balloon mischief (check his hands). If play is how humans learn best, then we were learning all afternoon — but all we cared about was the fun! We wrapped up the evening with yearbooks, a closing circle, frozen yogurt, and a private screening of Slender: The Short Film. Thank you to everyone who was a part of the Open Doors Center’s first year — it has been an amazing journey. Happy Summer, and we hope to see you at our laid-back, do-what-works-for-you Summer Art Program! Each of our members have their own shine: that is, something that they love to do, something they’ve worked hard at, and/or something that just makes them happy. During our last week of the 2013-2014 Open Doors program, we gathered to share our shine with each other. Our Wild Edibles Class prepared a foraged feast! One member shared his love of all things Japan by bringing Japanese food. It’s game theory time! This member explained his love of strategy and interaction by having the group play a version of the Prisoner’s Dilemma. This member has been creating a mod for the video game Skyrim — he showed us his latest dungeon creations. This guy showed us his awesome juggling skills. And one member showed us footage of her back handspring, done in her tumbling class. In addition, we heard from one member who is learning on the job at an auto repair shop, and one member shared the love of her life, her little dog Chloe. Staff and parents shared as well — poetry, perspectives on life, a dramatic reading. We had such a great time celebrating each other. At Open Doors, we are so honored to be a safe space where teens can share who they are and what they love, without worry that it will be “good enough.” We love these teens! Up next — our last day together, dedicated to fun! The path less traveled has a pretty awesome view. You feel like you’ve been waiting for your own incredible journey. You’ve been marking time until your life can start. Leaving high school can be the first step on that path. Brainstorm. If money were no object and you weren’t in school, what would you do? This frees your mind to think big. Write down your ideas, including where you want to go and what you want to see. Find an adult who will listen to your ideas and help you talk over possibilities. Many of them will be closer than you think. Everything I learned in high school? This goes double. You realize that the kind of learning schools offer is now available online, for free, from a wide variety of sources. From the Khan Academy to MIT, from John Green’s Crash Course in World History to an exploration of the Cosmos and the most interesting NOVA Chemistry Course you’ll never see in school, you can immerse yourself in the subjects you love without tests or grades. You want an alternative to high school that’s truly different — not just a computer-based learning program, but something that supports you in being the unique and creative person you are. In addition, Open Doors can coach you through your options, right here in Grand Rapids. Call us. This post is part of our ongoing “Your Life– Your Learning!” series, launched with support from the Wege Foundation. In our last post, we talked about why many Grand Rapids teens hate school. Alternative schools or private schools are not an option for some families, so let’s talk about ways that our young people can come to love learning again. 1. Meaning, meaning, meaning. When a young person loves something — whether it’s animals, swing dance, cars, investment, or a sport — it’s because that thing has meaning to him or her. If a teen’s interest is horses, then everything related to horses makes sense to her — if she can’t make sense of it at first, she pursues it and asks questions until it does. The teen is fully engaged — emotionally, physically, intellectually, socially, and even spiritually. All humans learn best when information has a meaningful context. Yet teens are asked to repeatedly solve math problems using abstract numbers, or to recall historical dates and events without a context that feels meaningful to them. Study after study has shown that though some students may be able to memorize well for tests, they are not able to apply their learning in real-world situations, where things rarely look exactly as they appeared on the test. Fortunately, Grand Rapids is full of interesting people doing interesting things. The arts, farm-to-table restaurants, environmental projects, cars, community events, more community events, games of all kinds, sports — our city offers a wide variety for the passionate teen in your life. Making Meaning from Movement: One of our members loves her swing dancing class every Wednesday night. The constant movement both challenges her and relaxes her in a way that typical physical education classes don’t. 2. Problem-solving. Teens know that their day is coming — soon they’ll be working jobs, managing money, and making adult decisions every day. And yet everywhere they go, they are judged on how well they follow rules, not on how well they solve problems. How will they learn to problem-solve if they never practice? Whenever possible, we can ask teens to join us in problem-solving. Whether we’re working on home projects, fixing dinner, creating a blog, or scheduling a busy day, we can “think out loud” with our process and ask for input from our teens. In a similar vein, if our teens struggling with school, homework, bullies, or a social situation, we can ask questions, including, “is there something I can do to help?” It helps if we remember to wait for their responses, rather than jumping in with ideas. We can invite them to write down possible solutions (even fantasy solutions) and talk over their options. Because Grand Rapids is such a rich community, it’s a great place to offer problem-solving opportunities. 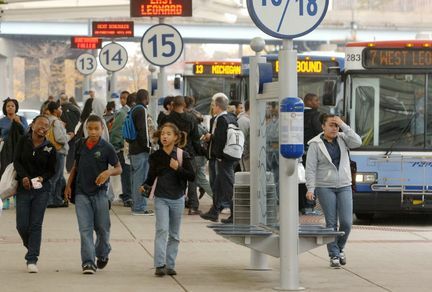 Would your teen like to figure out how to take the bus from the mall to their home, or from Meijer Gardens to the Art Museum to Blandford Nature Center? (And can they do the latter challenge all on one bus fare?) Or make a day of it and ride The Rapid together for fun — it’s a great way to see the city and chat with our neighbors. This is just one way to help teens practice problem-solving: we’ll offer more in a future blog post. Fortunately, others in the community have recognized the need, and teens are being invited to problem-solve more often through area programs focused on larger social issues. Still, more needs to be done, and attending workshops doesn’t always give the daily practice needed to think through everyday situations in the real world. 3. Getting involved in the real world. Teens often feel they are wasting away in the classroom, cut off from the rest of the world. Since teens are very concrete thinkers, they need exposure now, not later, to what real life feels like. College visits,volunteer opportunities (including the zoo and a summer therapy program), opportunities to shadow professionals (including in the growing health care field), travel (even to different Grand Rapids neighborhoods), part-time jobs, and fun projects — from cleaning up the Grand River to making a movie (like the Open Doors Slender Man project) — are all opportunities to experience the world, and all are right here in Grand Rapids. 4. Spending time alone when needed. How often are teens encouraged to really think their own thoughts, particularly during school time? Waking up early for school, participating in after-school activities, and doing homework often takes up an entire day that could be spent observing, considering, and dreaming about the future. Grand Rapids has many community spaces where a teen can wander and think her own thoughts: the Main Library (which also offers fun activities), the Blue Bridge and other bridges over the Grand River, the Quiet Cafe at GRCC, Blandford Nature Center, the Calvin College EcoSystem Preserve, Johnson Park, and Schuler Books and Music, just to name a few. 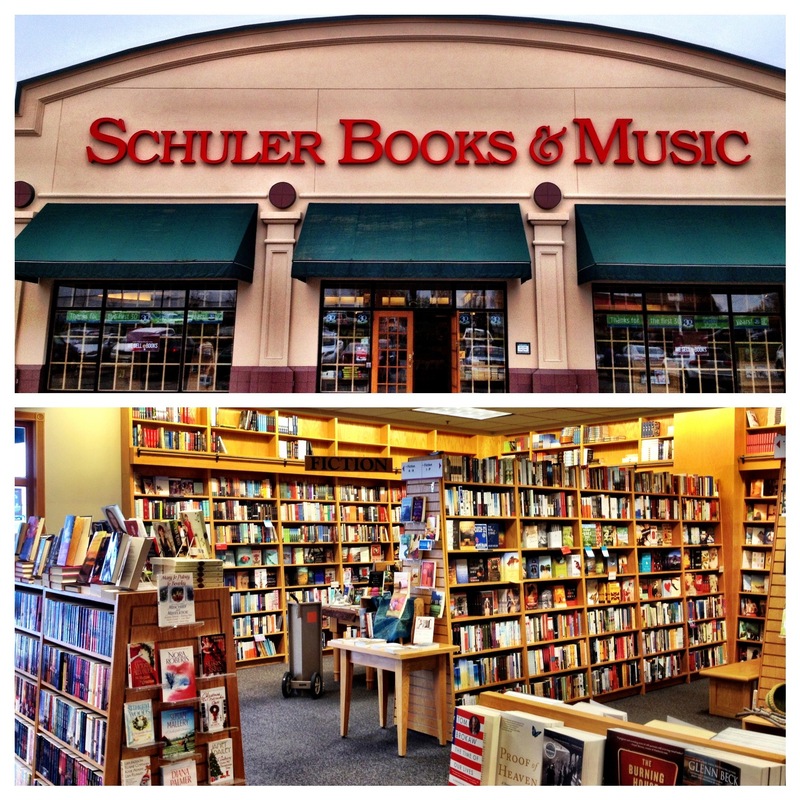 Schuler Books has lots of quiet places for a teen to curl up and think her thoughts. Teens trying out ideas and talking about what matters to them. Offering meaningful context, providing real-world problem-solving and experiences, and allowing for both reflective times and social times to connect with friends and family — this is what the Open Doors Center for Self-Directed Teens does. We can help your teen love learning again, whether they stay in school or leave the classroom for a real education in the real world. If you have other ideas for how to help our Grand Rapids teens love learning again, we’d love to hear them in the comments. And if you and your teen would like to continue this conversation about how to love learning again, contact us. With support from the Wege Foundation, Open Doors continues to explore what learning is and how it works (and doesn’t work) for the teens in the Greater Grand Rapids community. Our hope is that more local teens and families will find tools for claiming their own learning on their own terms, whether they stay in school or choose to leave for an option like Open Doors. Grand Rapids, like many other cities, has it’s share of unhappy teenagers — teenagers who hate school, homework, their teachers, bullies, cliques, and more. And our teens are not alone in feeling unmotivated by school — nationwide, 40% of teens feel the same way. Other statistics testify to the problems teens are facing as they try to learn how to make their way in this big world of ours. Families look for alternative schools or private schools, but they can’t always afford the tuition. Even if they can, these schools don’t always get to the root of the problem. We can all agree that education is important. So why are some teens having problems? If we look under the surface, we can see that traditional high school and middle school classrooms aren’t connecting to these teens for two main reasons. There is a huge diversity of learning styles among teens! The traditional classroom structure that requires sitting still, quietly reading, listening, memorizing, and writing is simply not a fit for the majority of learners. Many teens need to move around more — they need hands-on learning with concrete experiences. Cecilia’s learning style is very hands-on. She needed dissection, not memorization. Other teens need to be able to talk things out to learn them. While some teens need to hear things in lecture, others need a musical connection, and still others need to see content or map it out before they can truly interact with it. With a full day of school, after-school activities, and homework, these teens don’t have the time to learn about how they learn best and to translate the day’s learning into their own learning style. Instead, they disconnect, feeling bored and unmotivated in class. The first lesson I teach is confusion. Everything I teach is out of context. I teach the un-relating of everything. I teach disconnections. I teach too much: the orbiting of planets, the law of large numbers, slavery, adjectives, architectural drawing, dance, gymnasium, choral singing, assemblies, surprise guests, fire drills, computer languages, parents’ nights, staff-development days, pull-out programs, guidance with strangers my students may never see again, standardized tests, age-segregation unlike anything seen in the outside world….What do any of these things have to do with each other? Meaning, not disconnected facts, is what sane human beings seek. When a teen experiences something meaningful to his or her own life, motivation and real learning spring forth. They not only retain what they’ve learned — they also can apply it in appropriate situations, and they can adapt it and build upon it as new situations arise. 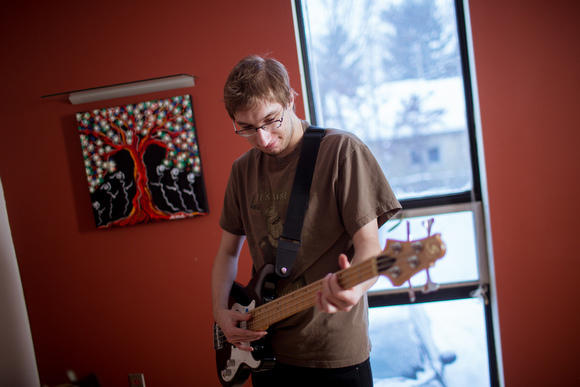 Though this member didn’t stick with playing guitar, having a safe space to explore this interest for as long as he wanted was a meaningful experience. It led to more exploration and more meaning for him. As a community, we can work to intentionally help our teens re-engage with their learning and their lives. How? Our next blog post will offer 5 ways to help our teens love learning again. Or you can contact Open Doors and ask us directly — we’d be happy to help. Note: Welcome to our new series, “Your Life — Your Learning!” This is our first post in the series. With support from the Wege Foundation, Open Doors will explore what learning is and how it works (and doesn’t work) for the teens in the Greater Grand Rapids community. Our hope is that more local teens and families will find tools for claiming their own learning on their own terms, whether they stay in school or choose to leave for an option like Open Doors. Recently, as I was working on my computer on the couch in the Gathering Room at Open Doors, one of our members came in and sat with me as she ate her lunch. Cecilia had just come back from studying with a naturopath, Angie, with Continuum Healing in our building. As we sat and chatted, she shared with me what she’s been doing since she left high school a few months ago. Here are some snippets from our conversation. Amy: Last time we talked, you were looking for a long-term research project. How is that going? Cecilia: I found one! Fifteen years ago, my Grandma had a rare type of cancer in her throat, and due to the surgery to remove it, half of her tongue is paralyzed now. We’ve contacted her surgeon and we’ll have a chance to refer to her records and see exactly what has been damaged and what the treatment was. With so many medical advances over the last 15 years, plus the knowledge available from a naturopath like Angie, I want to see if anything can be done to help her. There are other projects I want to do, too, but this one is a good place to start. Maybe there’s nothing we can do, but on the other hand, I might actually help someone. Amy: That’s great. And you’ve found some other interesting projects, haven’t you? Cecilia: Yep. This summer I’m going to do a six-week surgical internship with the horse veterinarian that I shadow, so I’ll learn a lot there. I’ll also be going to the Grand Tetons with David Buth from Summer Journeys — it’s called a leadership adventure and we’ll be horsepacking in. Amy: What have you learned about your own learning style since you’ve been here at Open Doors? I remember when you first started, you thought you wanted to do a dissection every week. But then you realized you needed some time to diagram and write things out, to process it, right? What else? Cecilia: I also need to keep searching out mentors in the fields I’m interested in — I really like to learn with people, and especially with people doing their jobs. I want to do more internships. So that will be a challenge for next year, to find people in the fields I’m interested in. Over the last few months I’ve learned what works for me, and I can use that next year. Amy: Now that you’ve been out of high school for a few months, are you glad that you left? Cecilia: I am pretty glad. The only thing I miss — I loved being with a large group of kids my age. So next year I’m going to take yoga and choir at my high school, and have lunch period there as well. Amy: That’s true. We do have more teens here on Tuesdays and Thursdays, but you have different interests and so you’ve been here on Monday and Fridays, when we just have a couple members here at a time. Cecilia: And even now I still get to see my friends after school and on weekends. In fact, I get to enjoy my time with them even more, because I’m not stressed out about my own homework. That’s the weird thing — sometimes I help my friends with their homework, and I realize that it’s mostly just busy work. I can figure it out without having been in the class. But my friends are so worried about grades and GPA and getting into college. I used to worry all the time, too. Even though I didn’t believe in the system — I didn’t believe that good grades meant you were really learning — I still wanted to get good grades and go to college. And now I’m just out here, learning things and doing things. I’m doing dissections, I’m seeing how a naturopath works, I’m helping a vet. The other day a group of teens and I did biology in the Grand River with David Buth — we identified specimens we found in the water, and checked for mutations due to pollution. Amy: That sounds fun. And I agree — grades don’t reflect much about learning, though they might show how good a student is at memorizing. Cecilia: Yes! I used to just cram everything in my head for a test, and then forget it all afterward, so I could cram the new stuff in. Now I don’t forget as much — I keep building one thing on another. Amy: Right — I notice that you keep asking questions, and those questions keep leading you to new places. Soon our conversation drifted onto other things. Our talk about college placement tests led Cecilia to ask questions about my own college experience. I explained that though I loved college and learning, I also found it quite intellectual, when I often wanted to seek out the more emotional and relational side of life. When Cecilia asked if I ever considered going back for a higher degree than my Bachelor’s, I reflected that I had always found ways to meet those learning needs outside of college — whether through unschooling my own three boys, writing children’s books or other pieces, or working with a Jungian community in Three Rivers. Life has always presented me with an integrated way to “live the questions,” to use Wendell Berry’s phrase. It is always such a pleasure to converse and reflect with our teens — they are each so different and each finding their way, and I know I speak for all our staff and volunteers when I say that witnessing it all is a huge honor. Amy Carpenter Leugs is the Outreach Director at Open Doors Center for Self-Directed Teens. A former teacher, Amy unschools her three boys, reads and writes widely, plays with people of all ages, and speaks about life learning every chance she gets. Today at Open Doors we found out that on May 30, two twelve-year-old girls in Wisconsin stabbed their close friend, also a twelve-year-old girl. The girls named the Slender Man legend and the Creepy Pasta fiction site as their inspiration. All of us at Open Doors hope for a complete and speedy recovery for the victim, and our thoughts are with the families and the community involved. It is a disturbing and horrible incident. Though we can never know all the reasons behind these actions, we do know that the Slender Man legend (which has been around a long time) and the Creepy Pasta fiction site are not about this kind of real-life violence. For the past six weeks, our teens have worked hard and with great creativity on our own informal Slender Man movie. Our teens have worked in the true spirit of Slender Man — the spirit of fun, the spirit of surprise, and the spirit of sharing the thrill of being scared while knowing that this is fantasy and not reality. At this point, the teens plan to finish editing the movie in the spirit they created it. Each of our teens expressed sadness about this incident and the sincere hope that there are no further tragedies. They also expressed difficulty with the Slender Man legend being twisted in such a horrible way. There has been a lot to talk about today at Open Doors, and we ask for your support as our teens process it all. Please join us in our hope for peace and healing for all those, young and old, who need it. The Compass Centre for Self-Directed Learning in Ottawa, Ontario (Canada) has made this great video about the principles of a Center for Self-Directed Learning. Check it out! Jen’s story at about 1:12 is powerful stuff.